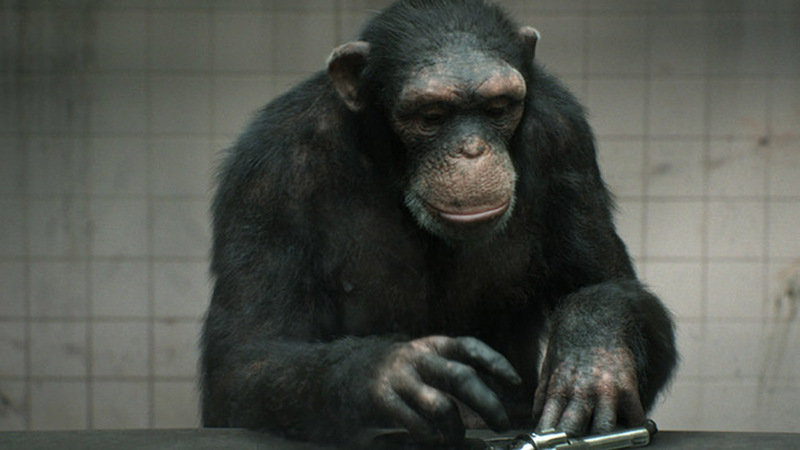 Mill+ has teamed up with BBDO NY and PETA to create an astonishing and ground breaking new spot '98% Human'. '98% Human' is part of PETA's commitment to stop great apes being used within the entertainment industries. 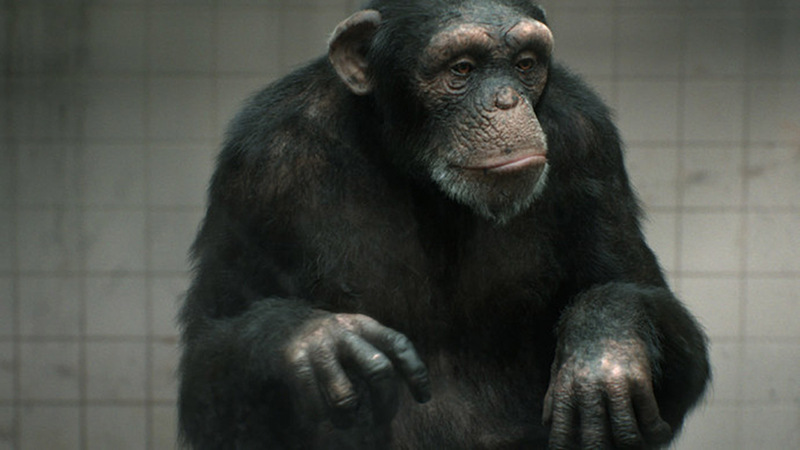 The Mill+ team, alongside BBDO NY, embarked on an incredibly ambitious journey to create a truly photo-real and completely life like chimpanzee. I talk exclusively with Mill+ Animation Director Angus Kneale and BBDO NY Executive Creative Director Toygar Bazarkaya; covering how the project was born, the highs and lows, and what ultimately both Toygar and Angus hope it achieves. How did you first get involved in PETA '98% Human'? It was actually PETA who approached us and gave us the background story that put us in a state of shock. You have to understand that all of us working in the industry believe that when we work with great apes, their safety and dignity are guaranteed. You have official disclaimers at the end of movies stating "no animal was harmed during this production" and this is true. However, that only refers to one day of production. What we didn't know is that there is a horrible backstory behind all of it. These great apes are being removed from their mothers when they are only days old, then being kicked and punched to do what they need to do. When they are around four years old they start acting in front of the cameras. But at around eight, they become too strong, and therefore are discarded in roadside zoos, only to live up to 50 more years in the worst conditions. This whole issue just ripped our hearts out because we are the people who write these scripts, not having a clue what actually goes on. So we decided to support PETA in an effort to raise awareness. Once people find out about this, we are sure they won't use apes anymore. In working with Mill+, we noticed there IS another way. We found a way to change the message from "stop using great apes" to "stop using "real" great apes." 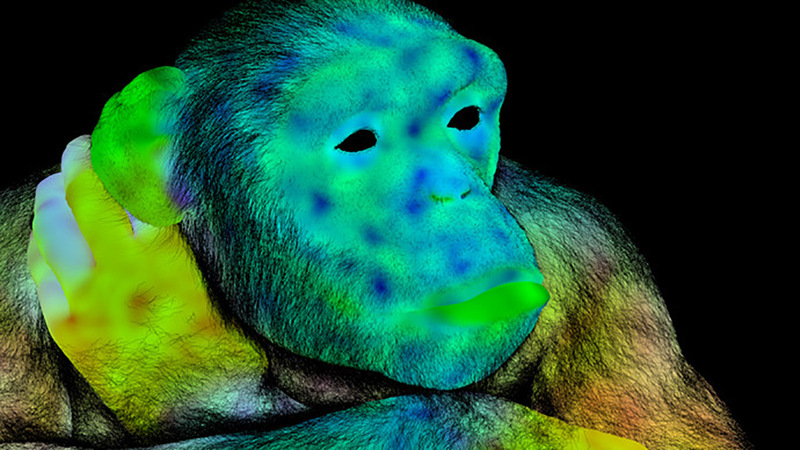 Mill+ developed a technology that allows for the creation of a great ape that is so real, it's scary. No use of the real animal, but an undistinguishable result. Planet of the Apes looks like a cartoon in comparison. Absolutely mind blowing! I think the lows were the days the project almost died. We were on life support and barely breathing a couple of times. 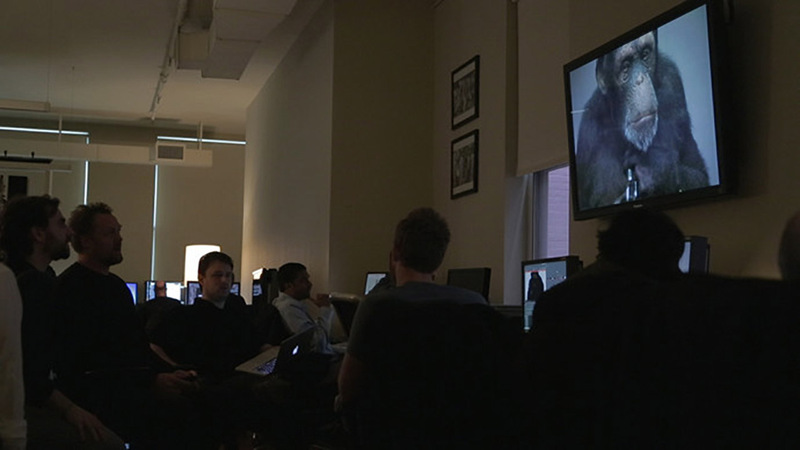 Once Planet of the Apes came out, we looked at it and thought, "it doesn't make sense to create something second rate." If anything, we need to beat it by a mile. Otherwise, it's not worth the effort. I love The Mill for taking on the challenge. Fearless! Inspiring! Committed! Awesome! 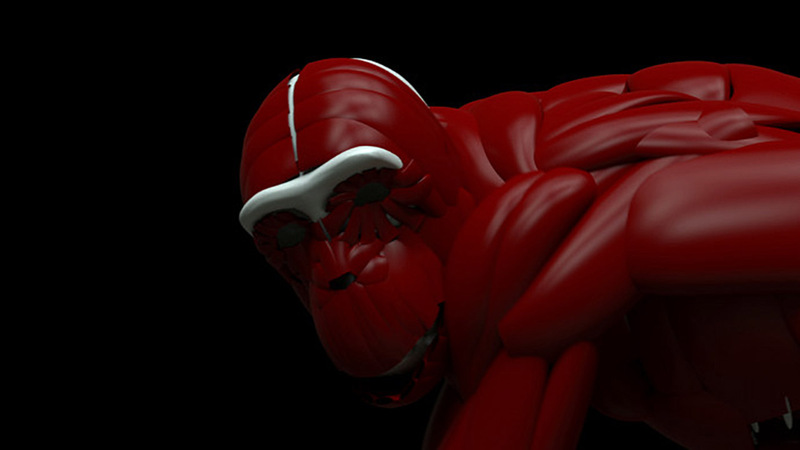 The highs started when I saw the first rendering of (what I thought) was the final ape. I was shocked! It was like getting hit by a truck. I can remember vividly, downloading a 5 second, and almost falling off my chair. I will never forget this moment. The crazy part was they weren't even half way done. When you find yourself running around like a little kid wanting to share this, you know you've got something. PETA are known for adverts that make everyone sit up and pay attention, which must require a sensitive and unique approach. Can you talk me through this challenge? I give PETA a lot of credit for taking this issue on. It's amazing that we didn't know this backstory, that's why we all are thankful to PETA. That said the challenge was to create something that talks to our peers: a critical bunch when it comes to advertising, communication and entertainment. What do you hope '98% human' achieves? 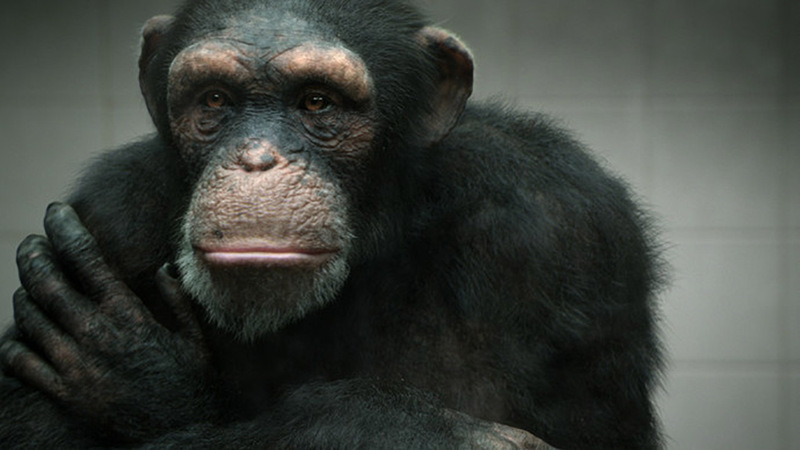 No use of great apes in the advertising and entertainment industry. Sign up to the Great Ape pledge is here. 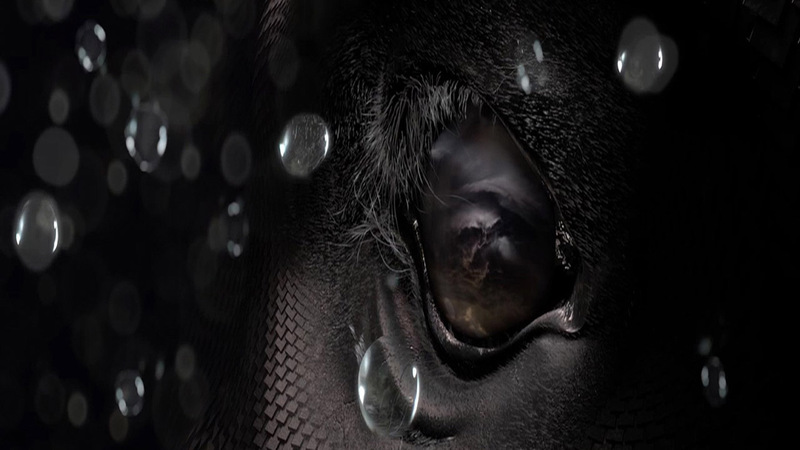 We were contacted by BBDO quite a while back, they had seen the CGI animal work that we had been doing and wanted to know if we would like to be involved with the project. There were a few high points. One of the early test renders that we did completely blew my mind, I ended up hugging our VFX supervisor so hard that I think he is still recovering from the affection. Another high point was the first time I was able to watch the piece and get caught up in the story without being obsessed by the details. The low point without a doubt was breaking my leg two weeks before the shoot while sledding in upstate New York; we ended up having to delay the shoot and the project. PETA is often controversial; you know what you are signing up for when you get on board with one of their projects. The challenge was not to get overly sentimental and keep it from being gratuitous. We focussed heavily on the emotions that we wanted; this required a great deal of care and sensitivity. What role did Mill+ play in the final result? We were involved in the project from start to finish. Being part of the whole process was great; it gave us full control with how to approach each stage. We are really proud of the process and the final result. I hope that "98% Human" will bring awareness and help stop the use of great apes in our industry; I think this shows that there is a real alternative to using live performance chimps in film and advertising. Do you have any animals in your life? Thanks Angus and Toygar for these incredible insights into a project straight from the heart. 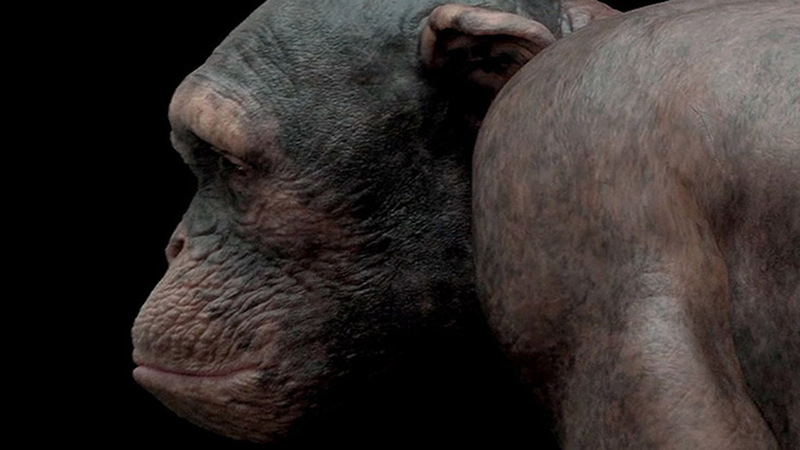 Another person who played a huge role in the creation of '98% Human' is VFX Supervisor Vince Baertsoen who said, "Peta 98% Human was the most rewarding project I have ever worked on. Here you have a great cause, a great script, with great character R&D and a great team. It is a very rare moment where you can focus on all the details that make a character alive, and be so involved in the creative process. Each wrinkle movement, each blink, hair detail, the dust... all the imperfections which make our character alive and real. I am really proud of what we managed to achieve, and I can't wait to have even more challenges, and to defend more great causes." Watch the behind the scenes film below and for more information on the project, there is an Adweek exclusive here.